Official sole cognac supplier to Her Majesty Queen Elizabeth II. Visiting Hine has a particularly English feel to it - the stag emblem reminds one of James Bond’s manor house in “Skyfall”, an impression that is underlined by the atmospheric blending of stone, oak vats and sublimated by the intoxicating perfume of cognac. I loved the vintage cognacs and discovered “Early landed” - a cognac that is made as usual in Charente but then aged in England for reasons of both history and taste. 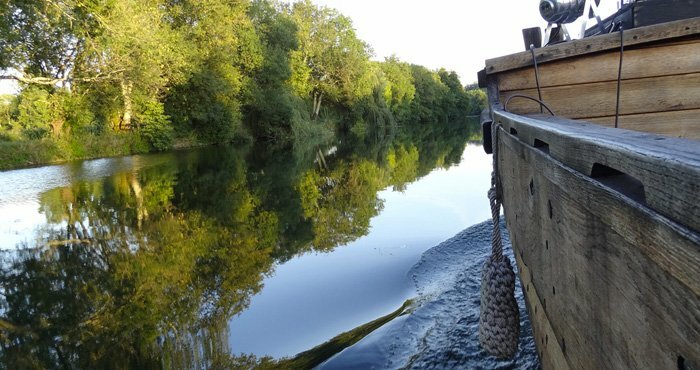 On the banks of the river Charente, a team of 20 is proud to be guardian of the 250 years of history which have built Hine. Official sole cognac supplier to Her Majesty Queen Elizabeth II. Hine has always produced single vintage cognacs. The in-depth knowledge of every single Hine eau-de-vie enables our Cellar Master to create blends of equal magnificence with uncompromising quality. Visiting our House is the best way to fully graps the aromas that craft Hine.